California voters approved Proposition 57 in November 2016. The new law changed the parole process for offenders convicted of nonviolent crimes — regardless of their criminal history. 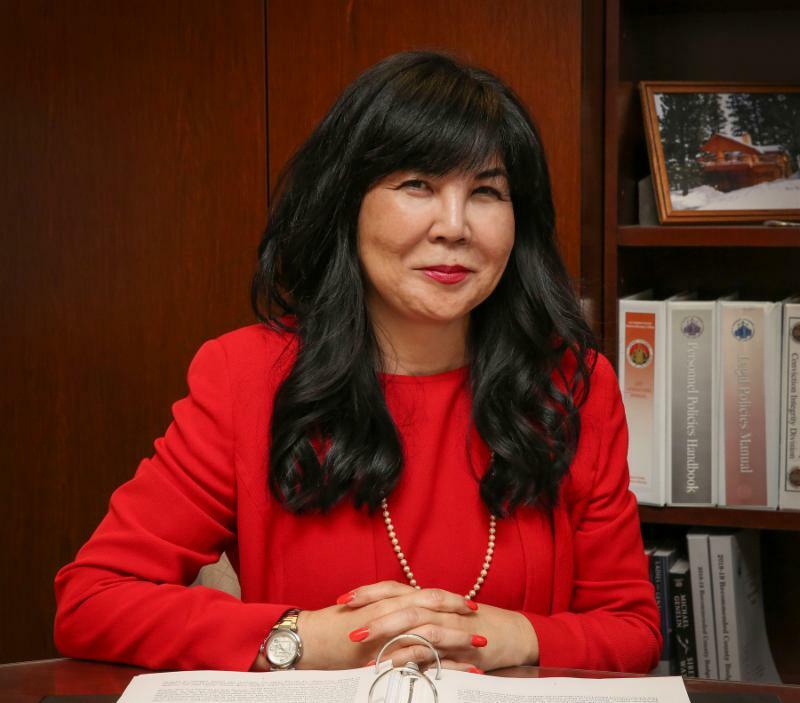 Deputy District Attorney Cynthia Nakao is the go-to person for ethical advice. She serves as the office’s first Professional Responsibility Advisor. The position was created by District Attorney Jackie Lacey in 2016 to provide training and advice to the office’s nearly 1,000 attorneys on their legal and ethical obligations as prosecutors. “The role of the Professional Responsibility Advisor is to assist me and my legal management team in fulfilling the office’s mission to protect our community through the fair and ethical pursuit of justice,” District Attorney Lacey said. To do that, Nakao, pictured above, provides ethics training to new deputy district attorneys and continuing legal education on ethics and the elimination of bias, as required by the State Bar of California, for all attorneys in the office. She also is available to consult with her colleagues on a variety of ethical issues that include fulfilling their legal obligations to turn over exculpatory evidence to defense lawyers. Unlike other attorneys who may represent clients and be motivated to win cases, prosecutors pursue justice on behalf of the people of the state of California. They do not represent victims in criminal cases but rather are driven by their duty to maintain public safety. In May 2017, Nakao was tasked with helping to develop implicit bias training. The initial three-hour training was held for the office’s legal managers. 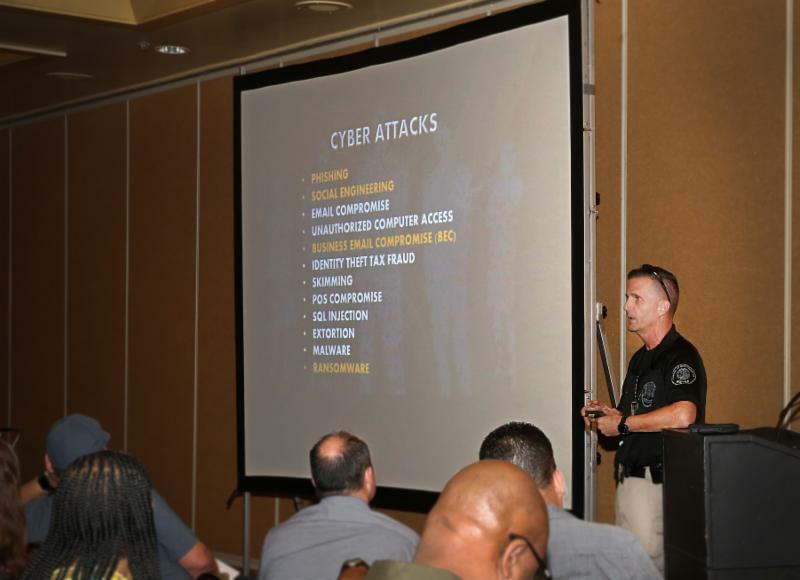 It was the first time a Los Angeles County department offered such training to its employees. Implicit bias training was then mandated for all prosecutors and investigators. Support staff now are being trained. “This training is particularly important because the decisions made by our office not only affect people’s lives but also their liberty,” District Attorney Lacey said. 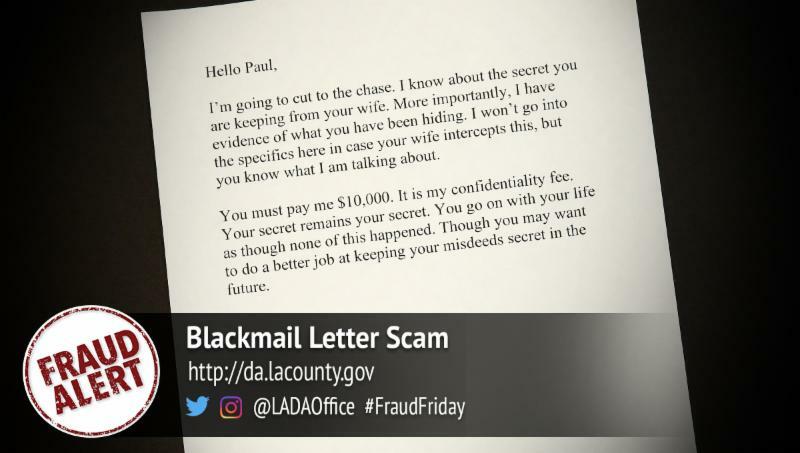 Everyone has secrets, and fraudsters using a new blackmail scam are banking on that. Read the Fraud Alert and watch the video here . A Santa Clarita accountant is charged with embezzling funds from the Girl Scouts and cancer patients. Read how much money she is accused of stealing. Find out why popular dating websites such as Christian Mingle and Jdate must pay nearly $1 million in restitution to their customers. A Venice man flees from authorities in a stolen car and then hits and kills a pedestrian. Learn how many years the 23-year-old was sentenced to serve behind bars. 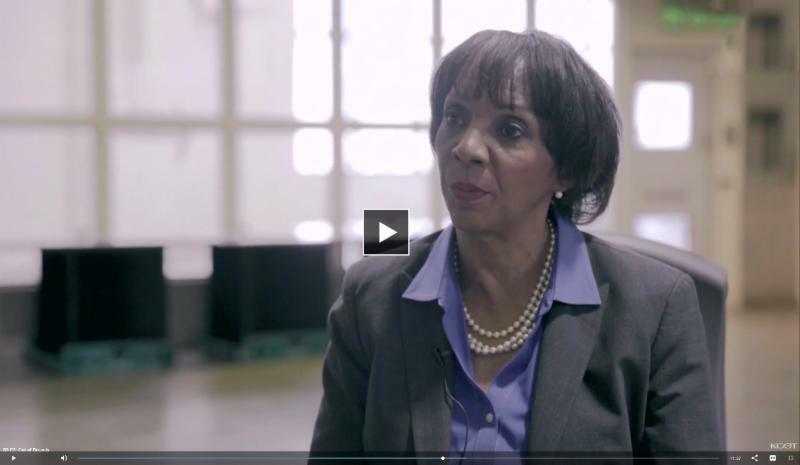 Watch District Attorney Jackie Lacey on KCET’s SoCal Connected. The episode examines how people who have a mental illness intersect with the criminal justice system. In an ongoing effort to reduce violence in Los Angeles County, District Attorney Jackie Lacey and her office sponsored legislation to assist law enforcement personnel in keeping guns out of the hands of adults convicted of violent crimes as juveniles. ﻿Senate Bill 1281 closed a potentially deadly gap in state law barring people convicted of certain crimes from owning guns. The new law gives prosecutors access to sealed juvenile records to enforce illegal gun possession laws against adults convicted of certain violent crimes when they were underage. It also delays the destruction of juvenile court records for these offenders until the statute of limitations has expired on the gun crime. This was one of eight LADA-sponsored bills that Gov. Edmund G. “Jerry” Brown Jr. signed into law this year. District Attorney Jackie Lacey also worked with lawmakers on bail reform and supported legislation to streamline the process for expunging cannabis-related convictions. “These new laws will bolster public safety, provide important additional legal tools for prosecutors and further the pursuit of justice,” District Attorney Lacey said. The District Attorney’s Office also sponsored Senate Bill 931 as part of the county’s effort to address jail inmates with mental illness. The new law amends the state conservatorship law to specify that custody status cannot be used as a reason to postpone the psychiatric conservatorship evaluation process. Assembly Bill 2661: Provides that the county that has an inmate declared a sexually violent predator will keep jurisdiction of the petition if the inmate later is convicted of a violent crime that is not sexual in nature while in state custody. Senate Bill 896: Extends until 2024 aggravated arson sentencing enhancements requiring a minimum 10-year prison sentence in certain circumstances. These include an arson that causes more than $8.3 million in losses or when a defendant was previously convicted of arson within the previous 10 years. One of World War II’s most celebrated soldiers also was an LADA legend. Lynn D. “Buck” Compton, pictured center, was a member of the U.S. Army company that was memorialized in author Stephen Ambrose’s acclaimed book “Band of Brothers” and the subsequent television miniseries. 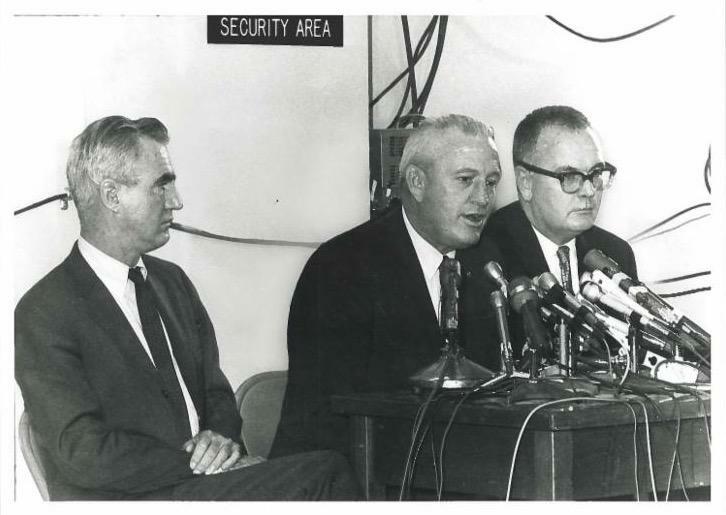 Compton served as chief deputy district attorney in the 1960s. He also prosecuted Sirhan Sirhan, the convicted assassin of Sen. Robert F. Kennedy.